So, you’ve finally bought the perfect home. All that searching through various websites, unsuccessful tours, unanswered phone calls, and dead ends finally got you where you want to be. Or, maybe you’ve had your perfect space for a while. You’ve raised your family in the same home for years and decided to settle down within your four walls for life. But oftentimes, the key to feeling truly at home in your perfect space is the right renovation. A new living room, a remodeled kitchen, a new bathroom or an extra bedroom can make you forever home just right. While this is certainly pricey and not without risks, there may be one complication you hadn’t considered before. Whether you’ve decided on an addition to an already wonderful home, an interior or exterior redesign, adjusting room sizes and changing windows and doors, no amount of heavy work within the walls of your home will keep your air ducts clean. 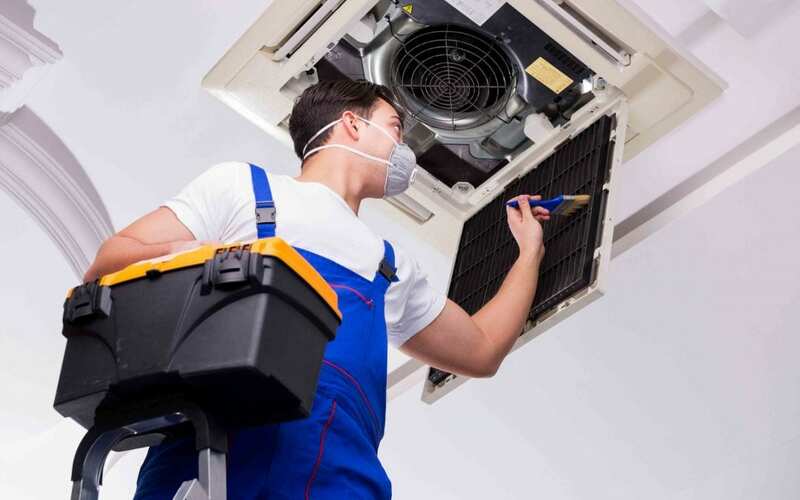 Any construction project is bound to create buildup in your air filtration system, causing discomfort for those in your home and potential damage to your HVAC system. Dirty air can irritate your eyes, skin, lungs and more, and create potential health problems down the road. It can also cause your system to work twice as hard as it needs to, raising your bill as well as the risk of system malfunction. Here’s how your renovations can make that happen. During construction, all sorts of dust, sawdust, and grime get flown around by power tools and moved objects. All of those particles then move through the air system in your home as the HVAC system does its job: air filtration and circulation. This can cause major distress on your air ducts. Not only will they become coated with the residue from construction, but that air will continue to circulate long after your renovations are done, which can cause physical discomfort for anyone moving back into space once the project is done. And, as mentioned before, these stressed ducts may malfunction under such conditions, making your newly remodeled home all that more expensive. Yet another cost you didn’t foresee. That’s not something anyone wants in a newly renovated space. You should be able to enjoy what you’ve done at its full potential instead of coughing your way across the house, or spending more dollars that you didn’t expect to spend! Consider the sometimes massive cost of home additions and renovations. Adding something else to the list may seem like a nuisance, but when you consider the health risks, financial burdens and air duct damage associated with dusty, dirty air, it’s easy to reconsider. Enjoy your house to the fullest. At DuctVac Northwest, we’ll give you a free consultation over the phone and put your mind at ease with our A+ rating through the Better Business Bureau. Our trained professional technicians will get the job done. Make your home healthy and enjoy your hard-earned space. Give us a call today.